Counter-Strike: Global Offensive’s finally making the free-to-play pivot, ditching the $15 barrier to entry it’s maintained since release in 2012. Starting today you can head over to Steam and grab the full game, including multiplayer modes, for free—though you can still pay $15 for “Prime” status and earn some extra skins. It seems like an obvious move to keep Counter-Strike competitive in the modern era, what with the rise of the battle royale genre. CS:GO is even getting its own take on the phenomenon, called CS:GO Danger Zone, an 18-player battle royale(ish) mode that involves scrounging for supplies and money around the map. Timing that release with the move to free-to-play could convince an entire new generation of Playerunknown’s Battlegrounds players to give Counter-Strike a shot...maybe. But is that a good move for Counter-Strike and the people who love it? 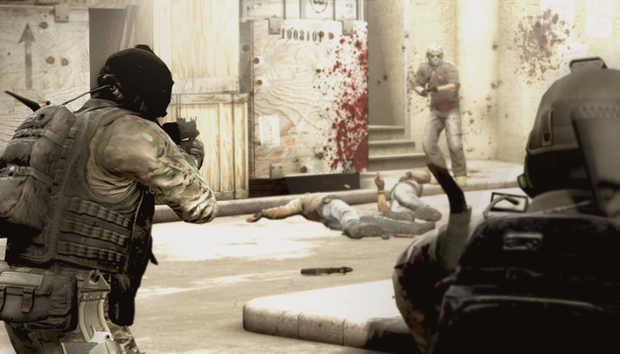 A few years ago Valve wouldn’t even let players gift CS:GO during the Steam Sale, saying it would harm the community by introducing people who didn’t stick around long-term. Rumor has it the $15 price tag was also kept up so long to dissuade cheaters from circumventing a ban by simply making a new Steam account. Both those worries still seem justified—hell, a pro Counter-Strike player was caught cheating during a tournament this year. And a move to free-to-play is bound to generate a large influx of players who have never played before and won’t stick around to learn the ins and outs of a brutally difficult game. Valve mitigates this somewhat by putting “Prime” players into their own segregated multiplayer hopper, meaning most longtime fans will be unaffected by the free-to-play move, but it’s still going to affect the game’s community. Of course, it also gets people installing Steam—and maybe that’s the goal here. Valve’s seemed a bit besieged the last few months, and even more so after the announcement of the Epic Games Store earlier this week. Maintaining a library of games you can only play with Steam is one way to keep players hooked, and it’s far easier to sneak onto someone’s hard drive with free games than paid. And besides, CS:GO’s been built like a free-to-play game for years. It even had an entire (shady) gambling scene built around trading CS:GO weapon skins based on their real-world money value. Removing the $15 price tag just underlines the business model Valve’s already relied on since 2013. In any case, it’s free and you can grab it now. If you’ve never played Counter-Strike before, be prepared to die a lot, and often. But hey, at least now you don’t have to pay for the privilege.